The Good Egg had been on my brunch wish list for such a long time. But for a South West London resident, getting all the way from SW19 to N16 is quite a trek across the city. I don't mind a long tube journey with a good book, but when you could be facing an hour-long wait for a table at a popular establishment like The Good Egg, I kept choosing other restaurants off my Sunday brunch wish list to try instead. 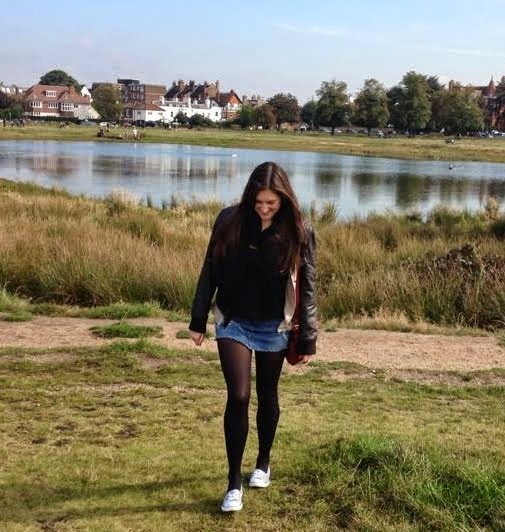 Then came along one of those extra-special mid-week days off, you know the one, where you just fancy a day to yourself, with absolutely zero plans - no jetting off for a city mini-break and no jumping on a train for a hen do. Nope, nothing. Perfection. 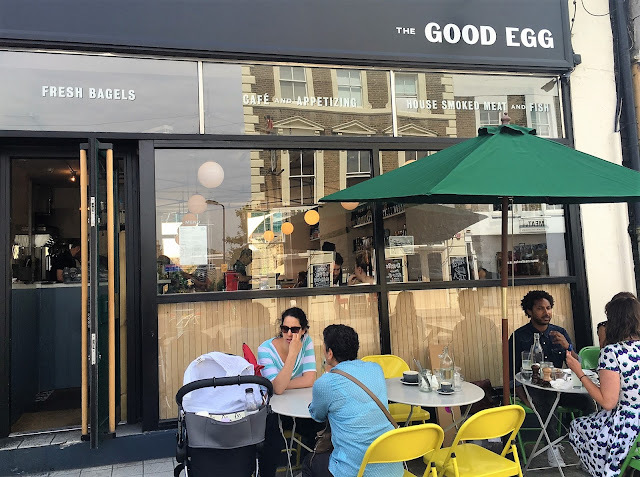 So this lovely sunny Friday comes along and I jump on the tube and make my way up to The Good Egg in Stoke Newington for brunch before a massage later in the day (I told you it was an indulgent "me day"). Despite it being 11am on a Friday, the small venue was still bustling, but I easily got myself a table inside. The brightly-lit room's focus is the marbled bar and open kitchen where you can see the chefs preparing the Israeli-inspired seasonal menu. You can see the produce sat on shelves behind the wooden bench which surrounds this Jewish-style brunch joint. Eating solo, I ordered a coffee and settled down with the menu, where I sat indecisively for an age. 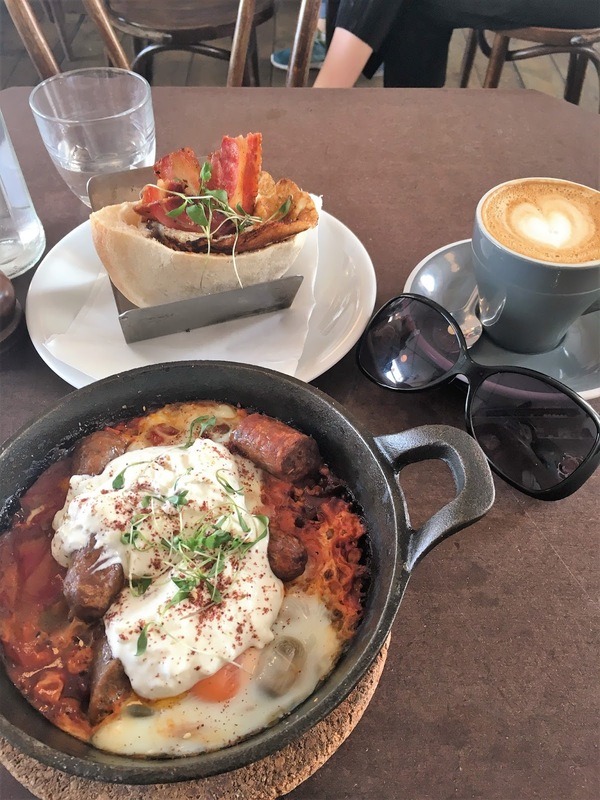 Challah French toast, tahini, marbelized egg, pastrami and my favourite shakshuka all jumped out at me and I just couldn't decided. 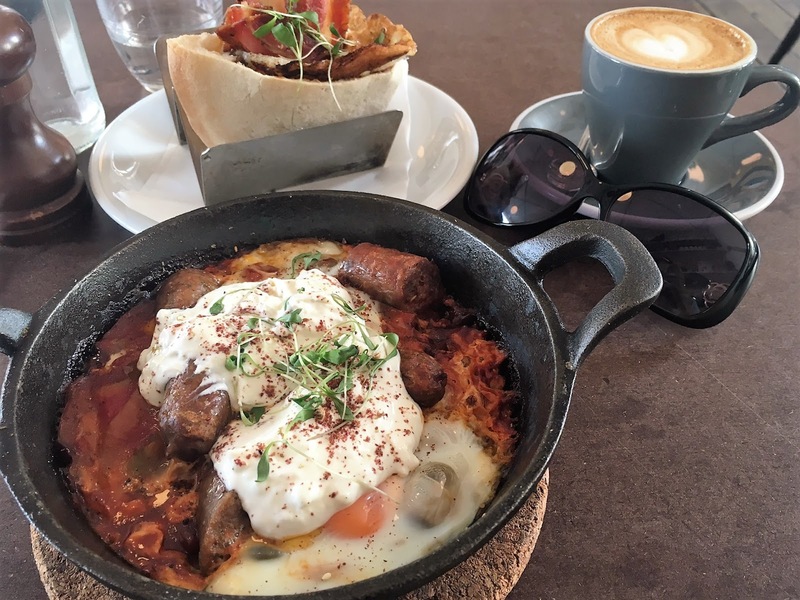 I was torn between the shakshuka (baked eggs with with tomato and peppers, with preserved lemon yoghurt & sumac and a challah roll. 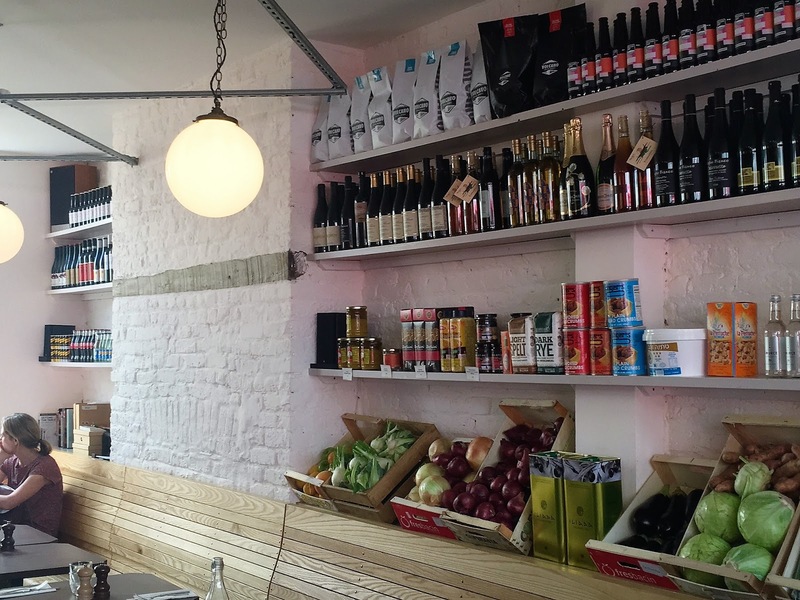 With rare-breed merguez sausage or halloumi £9) or a bacon and date pitta (pita stuffed with bacon, marbelized egg, date jam & amba £7.50). 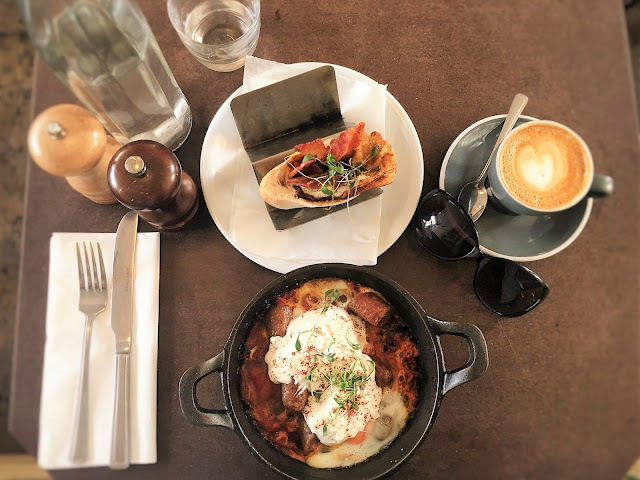 On asking the waitress very nicely, she said it was possible to have a half pitta on the side of my shakshuka instead of the challah roll, which meant I could at least try both. Hurrah. 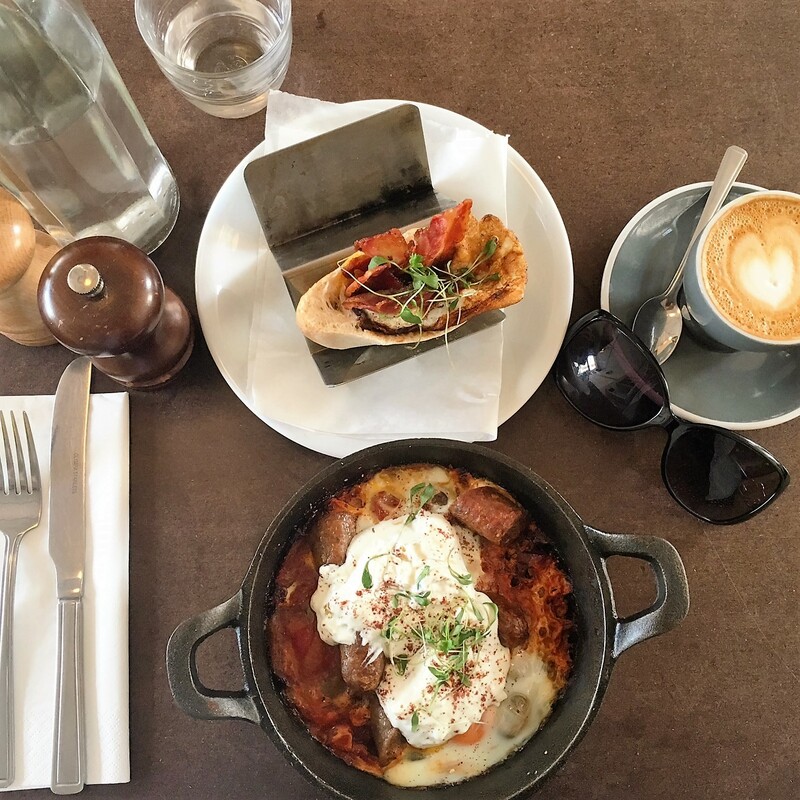 Served in a sturdy skillet, the shakshuka was bravely spiced, with a hefty dollop of lemon yoghurt and the sausages were firm and delicious. 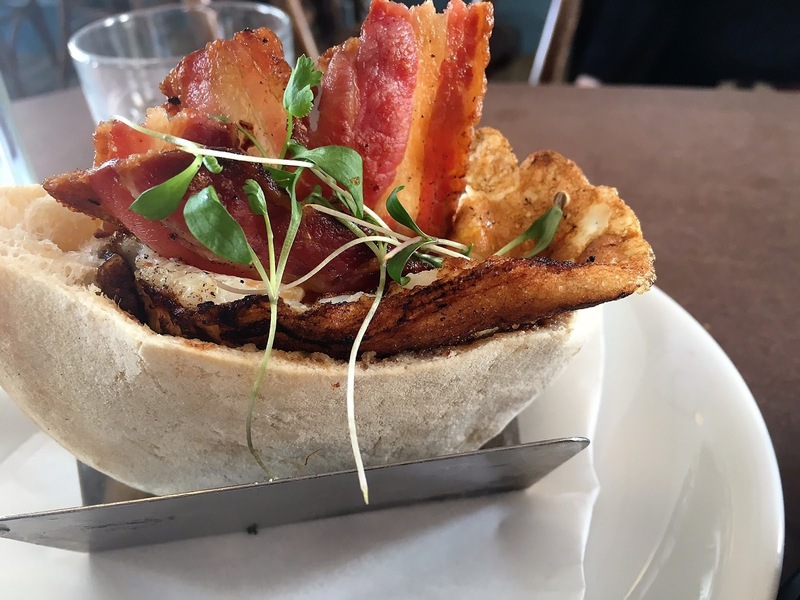 But the star of the show for me was definitely the bacon and date pitta which was served on those little metal taco trays - genius. The sweetness of the dates with the saltiness of the bacon worked wonders - well those Americans do know what they're doing, they serve their bacon with maple syrup. The Good Egg is up there with my all-time favourite brunch places, I just wish it wasn't quite so far away.